There’s no shortage of things to do on land at Put-in-Bay, but let’s be honest. If you plan a vacation to an island, you certainly want to enjoy some of what its surrounding waters have to offer. At Put-in-Bay, we know this, and we’ve got every water activity imaginable available for you to enjoy. Whip around on a jetski, paddle through the harbor on a kayak, or sail high above the water on a parasail! You can do all these things and more, just read on to find out how! 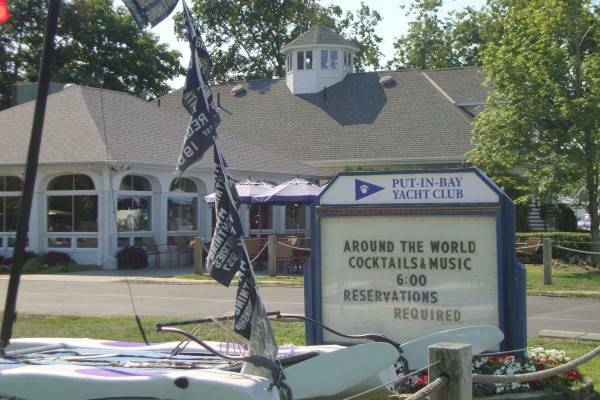 There’s plenty of things to do at Put-in-Bay for all you landlubbers. But if the weather is cooperative, an entire new place to have fun opens up, our beautiful Lake Erie. 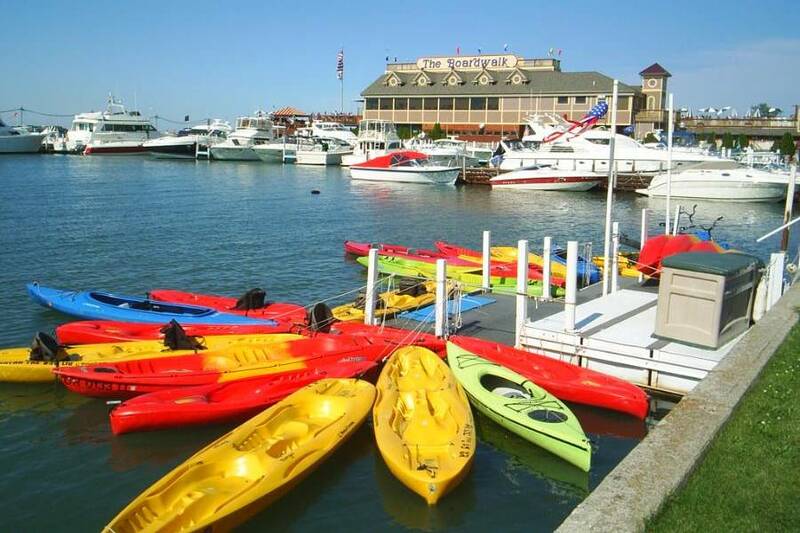 There are so many different ways to enjoy the lake, it’s Put-in-Bay’s greatest resource! 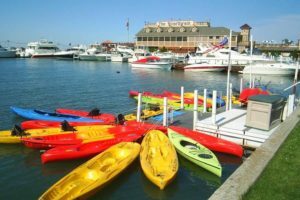 For a nice relaxing way to add Lake Erie into your vacation, you can rent a kayak. You can row your way around the island with ease, checking out Put-in-Bay’s famous landmarks from the water. There are even water trails, routes around the island that are designed to maximize the beauty that you experience. This is a great calm activity for one or more. But maybe a kayak is a little slow for your tastes. 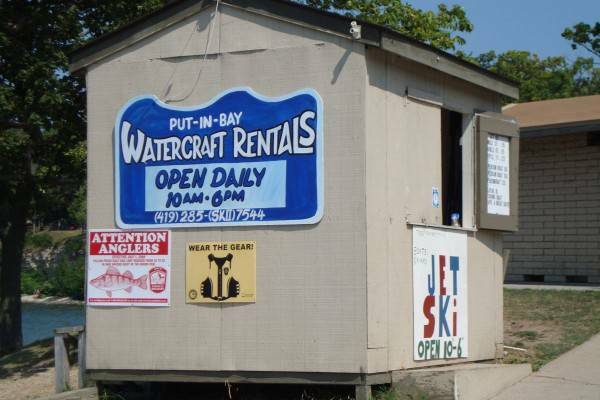 Don’t worry, Put-in-Bay has still got you covered. 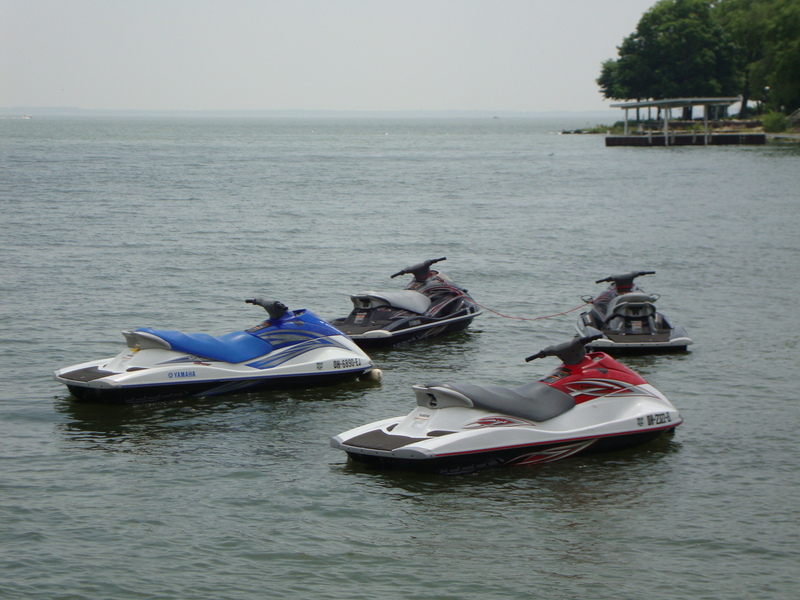 There are multiple places to rent jet skis at South Bass Island so you can whip around Lake Erie with your friends. 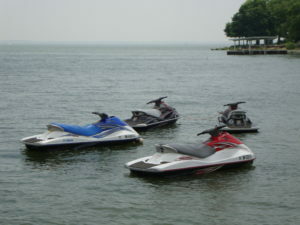 You will see hundreds of like-minded people out there using the jet skis they rented, or maybe bought and hauled over from the mainland. Spray your buddies with water and do some fishtails! Just make sure you’re sober! You can even use the lake as a way to soar through the skies! 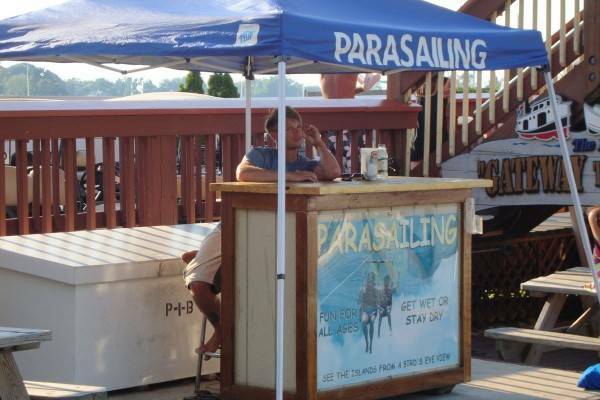 Put-in-Bay parasail will take you hundreds of feet above Lake Erie attached to a speedboat. You can enjoy a whole new perspective of Put-in-Bay from high above the island. This is the best view of the island that you can get without an airplane! Fish the World’s Walleye Capital! But the water activity most frequently undertaken on Lake Erie is fishing. The waters around Lake Erie are famous for yielding trout and bass, but most famously walleye. The waters around Put-in-Bay are considered the Walleye Capital of the World! They have a higher volume of walleye than any other waters in the world. So you’ve got good odds of landing the big one! Put-in-Bay is the kind of place that can be enjoyed by everyone in any weather. But if it’s warm or sunny out, a whole new world of opportunities open up for your island getaway. So book a Put-in-Bay vacation rental for your preferred dates, then cross your fingers and hope for some nice weather so that you can enjoy Lake Erie and experience a Put-in-Bay vacation to the fullest. Rain rain go away!